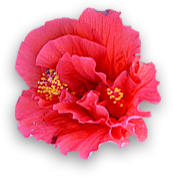 We have two Montego Bay Bed & Breakfasts. The Polkerris Bed & Breakast is run by the Bennetts and Scudamores. The family has been in the hospitality business for the past fifty years. They own and operate the iconic Montego Bay eatery, Pelican Grill, which has been in operation for more than fifty years. What started out as a hobby taking in occasional guests at home has now blossomed into a full blown business. 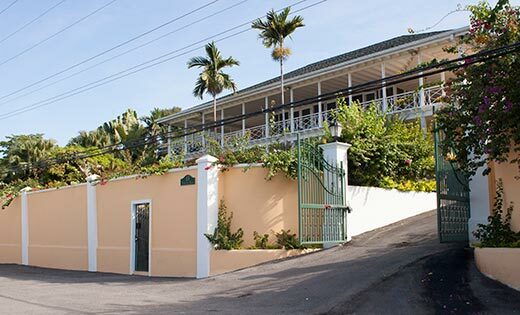 Polkerris is now the #1 rated Bed and Breakfast not only in Montego Bay but in all of Jamaica and recently was awarded the 2015 Travellers’ Choice Award from TripAdvisor for the Caribbean. In 2017 we were awarded the HotelsCombined award in recognition for consistently achieving the highest standards of Customer Satisfaction worldwide. Apart from the wonderful views and very high quality guest rooms and breakfasts, you also get the benefit of the decades of experience of your innkeepers. Peter and Elaine Scudamore can give you guidance on the kind of tours or day trips to take based on your preferences. Their intimate knowledge of Jamaica will also assist you to find good places to eat and explore. They also have a set of extremely professional licensed drivers who they can recommend to take you on your day trips if you choose that route instead of renting your own vehicle. Polkerris is for you if you wish all the creature comforts of a larger five star hotel but wish to enjoy the intimacy and personal service that we pride ourselves on. 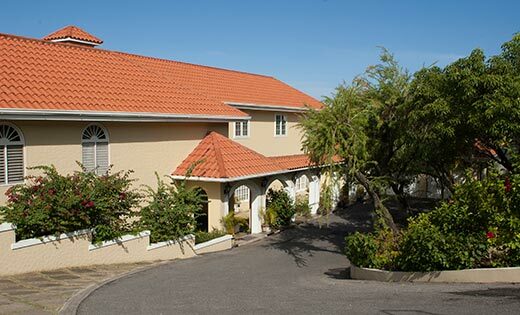 At our Montego Bay inn you have the option to explore the real Jamaica outside your hotel enclave and then to return to your oasis where you will be comfortable and relaxed until your next outing. We look forward to serving you and helping you unwind as we offer you a unique Jamaican holiday experience. The older of our two villas Polkerris was built in 1972 and designed by Kasimir Korybut a noted architect of the time. Since then the house has undergone extensive expansion and renovations while still maintaining the original airy, open tropical character. It has two levels, the first having four guest rooms with access to garden and covered patios with the ever beautiful view of the bay. 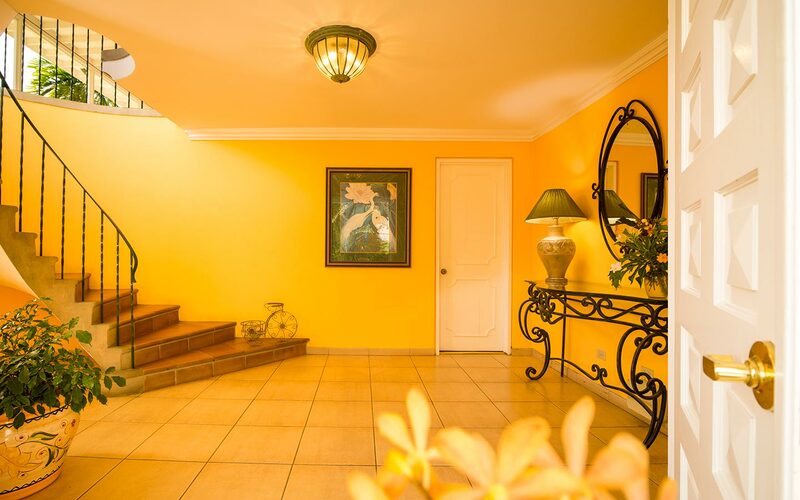 On the upper level we have the swimming pool, sun deck, terraced garden with waterfall feature and Koi pond. It also has a large wraparound verandah with a panoramic view of the sea and mountains. The upper level also features two guest rooms including our most requested king premium room overlooking the bay and the our other room with pool view. This villa, directly across the road from Polkerris was completed in 1989 and has a Mediterranean style. 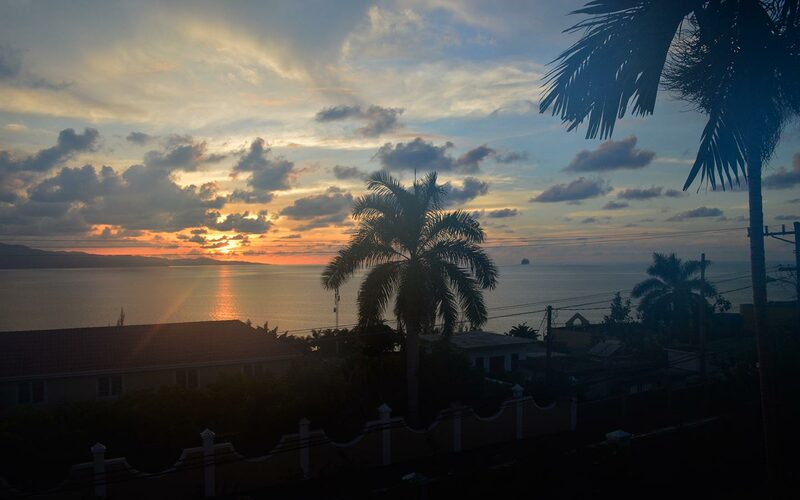 Two rooms are upstairs and two are on the ground level, all have a fabulous view of the sea. Breakfast is served under a covered patio where guests enjoy the same view as the rooms but on a more panoramic scale. The pool and surrounding patio are graced with sun for most of the day ideal for sunbathers. Many guests enjoy getting together on the deck in the evening to enjoy a drink and taking in the ever changing sunsets. 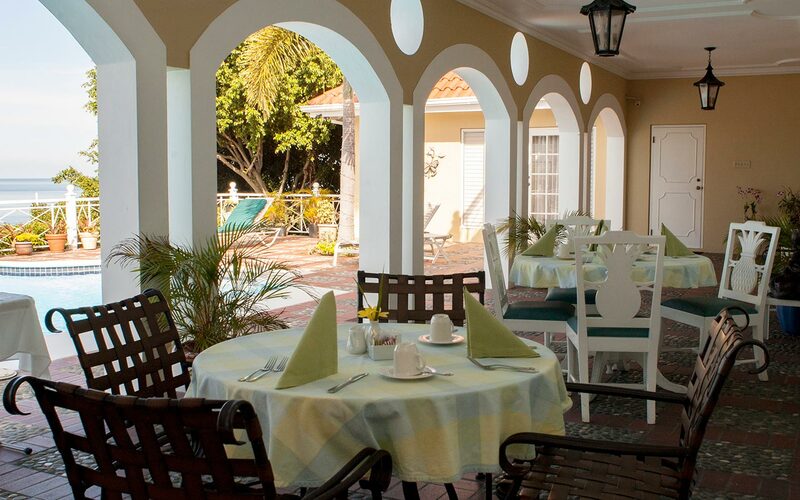 Join us at one of our beautiful Montego Bay inns.